The gift of prophetic encouragement is a necessary gift, one that the Church is in great need of during these last days. 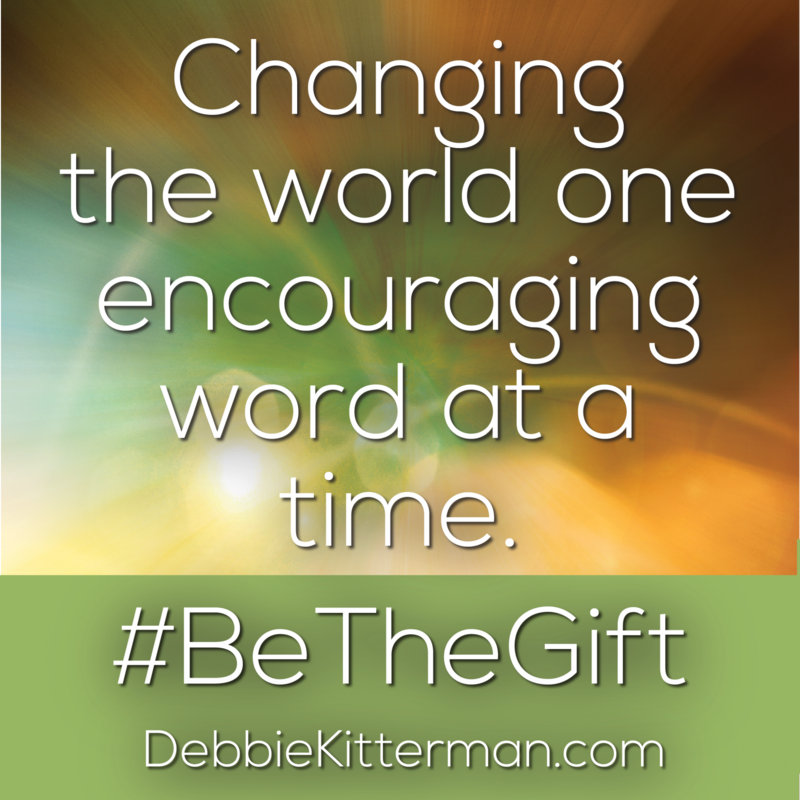 In The Gift of Prophetic Encouragement, Debbie Kitterman explains it well, but she does far more than that. She issues a call to those whom God is rising up, men and women through whom He will disburse the gift of prophetic encouragement. It is a necessary gift, and my prayer is that you will not only begin to recognize it, but become a part of it. Please come in. The Kingdom of God has been waiting for you. Debbie builds a beautiful bridge, sharing her own journey, for people who desire to experience the supernatural voice of God, but in a grounded and biblical way. Her book is relatable, biblically sound, and provides an excellent process for those who are hungry for more. No doubt, we want to honor God and to love as Jesus loved. The Gift of Prophetic Encouragement helps us do just this. 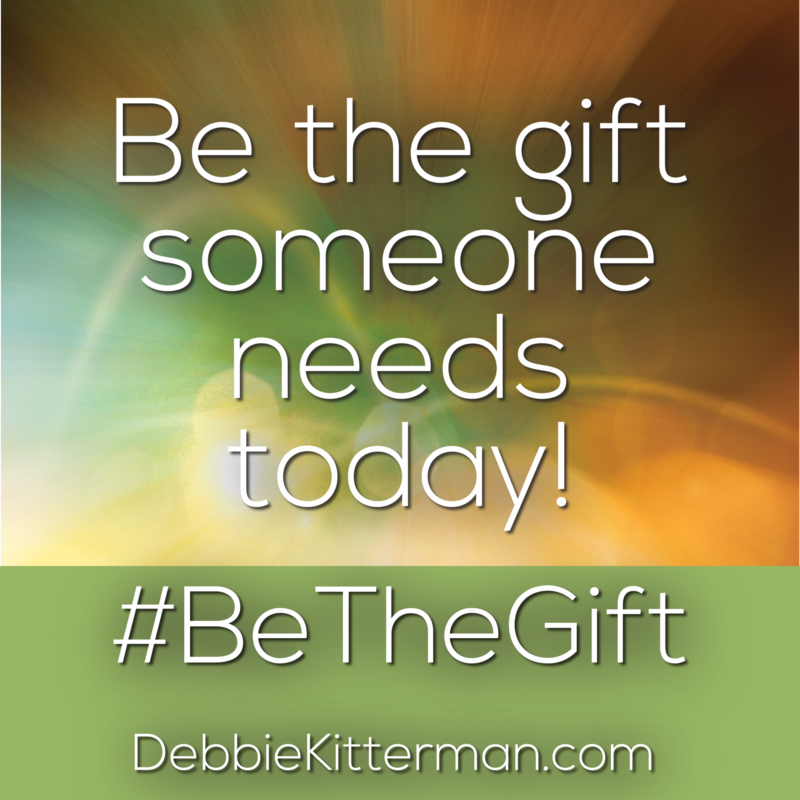 Debbie Kitterman trains us in the right way to encourage, inspire and share Godly wisdom. The time is now to transform lives through the power of love. National Speaker & Blogger, Author of Battle Ready: Train Your Mind to Conquer Challenges, Defeat Doubt, and Live Victoriously and Fear Fighting. Debbie Kitterman has written a balances and instructive resource that will encourage followers of Jesus to live out their faith in a way that is desperately needed in the today’s culture. A truly prophetic lifestyle loved out in the character of Christ is the hope many are looking for. The Gift of Prophetic Encouragement demystifies the spiritual gift of prophesy by explaining what it is, what it isn’t, and how God longs to breathe life, hope and healing into the lives of His children through the gift of prophetic encouragement. In a world that is so quick to focus on the negative, The Gift of Prophetic Encouragement is a breath of positive perspective straight from the heart of God for His children. Debbie repeatedly rests on the truth that God wants us to encourage one another, and she has done that from cover to cover. You will come away gently convicted, encouraged and ready to encourage! Debbie is, first, a woman with the heart and call of a pastor. Some are too quick to call themselves a prophet just because the Lord graced them with a word that edified, exhorted, or comforted someone. This author keeps the focus on the care of soul, not their manipulations. I recommend this read to all who want to serve the people of God. Be prepared to learn and be inspired! In her warm and engaging style, author Debbie Kitterman invites you to explore new ways to embrace a lifestyle of encouragement. Weaving biblical truth with compelling stories, this book will motivate you to joyfully respond to a rewarding and exciting adventure with God. While Kitterman skillfully unpacks the concept of prophetic encouragement, it is a mistake to think that is all this book offers. Readers cannot help growing in their understanding of Scripture, falling more in love with Jesus and becoming excited to serve God through edifying and encouraging the Church. Absolutely brilliant! Debbie’s book on prophetic encouragement is super helpful! This resource will help you unlock both wisdom and encouragement on a daily basis. This book is for every believer who desires to her from God to breathe His life, hope and healing into situations and people through the gift of prophetic encouragement. Debbie helps unpack the spiritual gifts so that we understand we are all prophetic! God is always speaking, and He desires for us to partner with Him to call forth things in others to remind them of His love and attention toward them. An authentic relationship with God blossoms when we can spread His joy and love by asking Him to use us to bless others with His message for them. It’s true! God wants to speak to you and through you everyday. Debbie has lived and taught that in a way that is so inspiring and so practical for all of us. If you long for a faith that is both deep and part of daily life, you’ll want to read and re-read The Gift of Prophetic Encouragement. Thank you for interest in The Gift of Prophetic Encouragement: Hearing the Words of God for others. We have created two companion downloads just for you to enhance your reading and implementation of the concepts in the book. The Encouragement Postcard is perfect for using with the activations located at the end of each chapter. The Prophetic Blueprint outlines necessary key elements to implement healthy prophetic in the church. You'll also be added to my mailing list and will receive occasional updates.